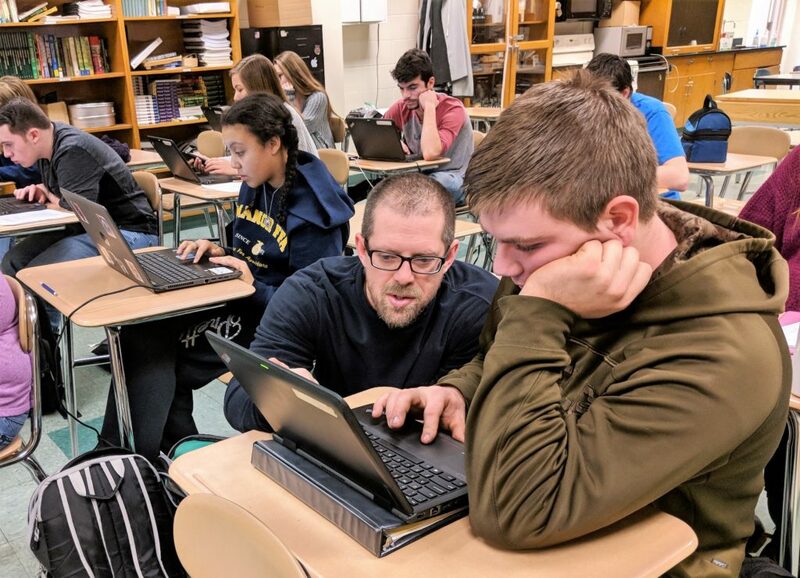 Penn Manor High School agricultural education teacher Neil Fellenbaum has been named Pennsylvania’s Outstanding Teacher by the Pennsylvania Association of Agricultural Educators. Fellenbaum was nominated for the award by his peers and is now in contention for a national award. 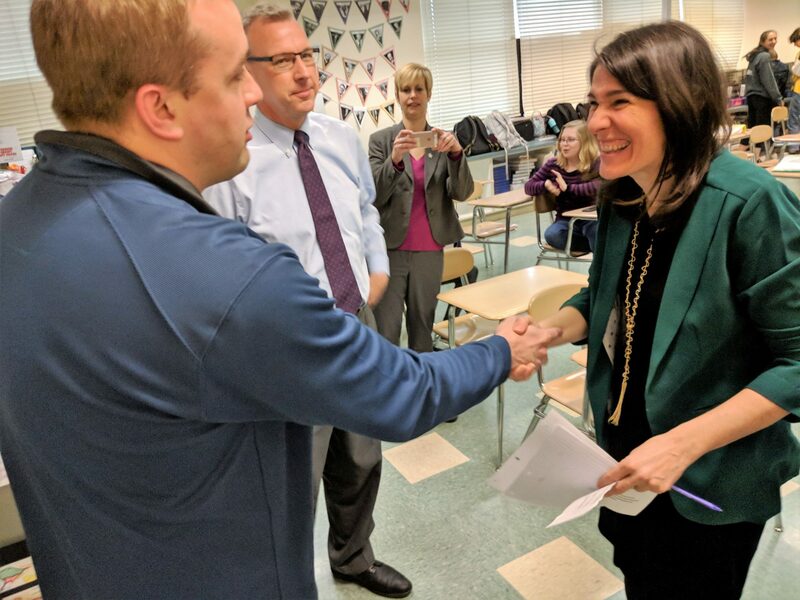 “I am very humbled to receive the award, considering there are so many great ag teachers in Pennsylvania,” said Fellenbaum, who is in his 19th year at Penn Manor High School. 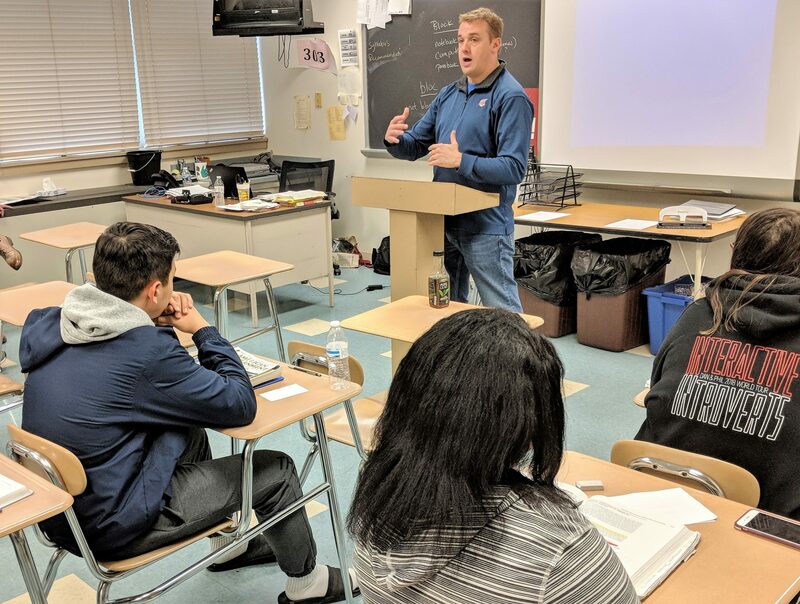 A Penn Manor alumnus, he is coordinator of the high school’s agricultural education department and teaches courses in Plant Science 2, Engines 1, and Introduction to Agriculture, Food and Natural Resources. 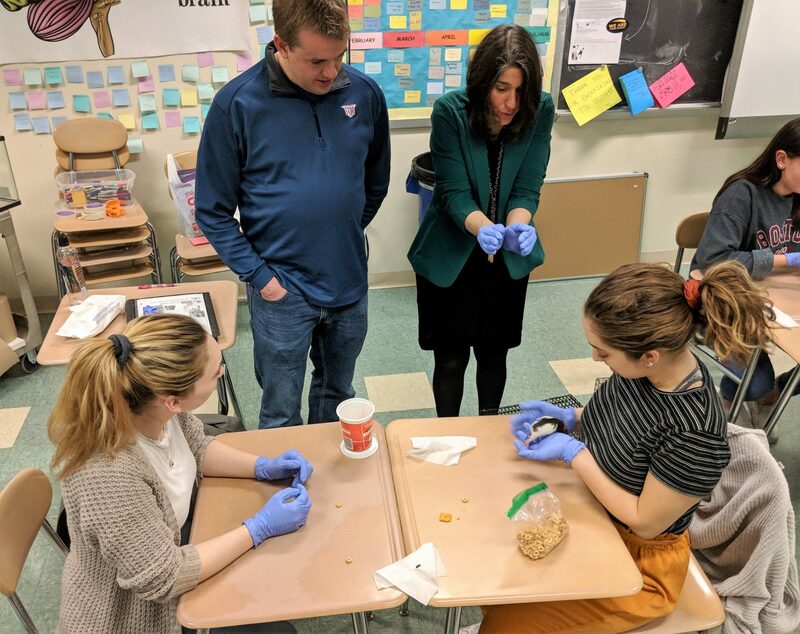 Fellenbaum and other award nominees were evaluated based on their teaching philosophy, instructional strategies, professional growth, community connections and involvement in promoting student participation in ag organizations and activities. Fellenbaum will receive his award at the Pennsylvania Association of Agricultural Educators Conference July 9-11 at Blackhawk High School. He is now being considered for a national award by the National Association of Agricultural Educators. Congratulations, Mr. Fellenbaum, on this well-deserved honor! Agricultural education teacher Neil Fellenbaum works with student Colin Smith in Plant Science 2 class. Neighbors of Penn Manor High School and interested parties are invited to attend an update on the high school project at 7 p.m. Tuesday, February 26, in the high school library. Topics will include construction phasing over the next three years, the impact of the project on the surrounding neighborhood, and communication methods to keep neighbors updated on construction. The school year will start and end earlier in 2019-2020 to accommodate the high school construction project. Under the 2019-2020 school calendar, approved Feb. 4 by the Penn Manor board of school directors, the first day of school for students will be Aug. 21, 2019. The opening day for staff will be Aug. 19. The last day of school for 2019-2020 will be May 29, 2020. The earlier end date will allow construction workers to begin demolition of sections of the existing high school earlier and extend the amount of time available for construction over the summer. A downloadable copy of the 2019-2020 calendar is available here. Two Penn Manor High School students recently earned district and regional music honors. Penn Manor senior trumpet player Julia Young has been named to the Pennsylvania Music Educators Association Central Region Orchestra and Region V State Band. Garrison Webster earned a spot in the PMEA District 7 Jazz Festival, following an audition Jan. 18 that included students from Lancaster and several other counties. 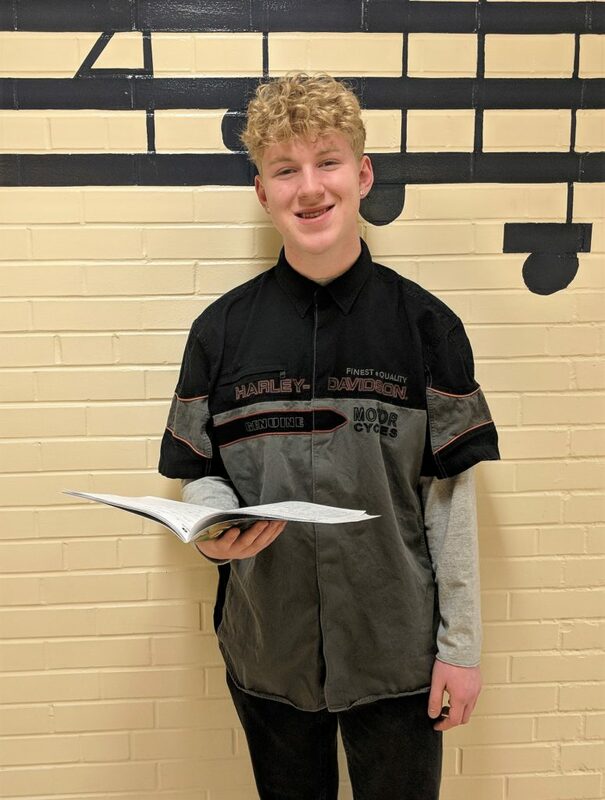 Garrison, a junior, placed first as a bass in the vocal jazz ensemble and will represent Penn Manor at the festival, scheduled for March 15 and 16 at Big Springs High School. 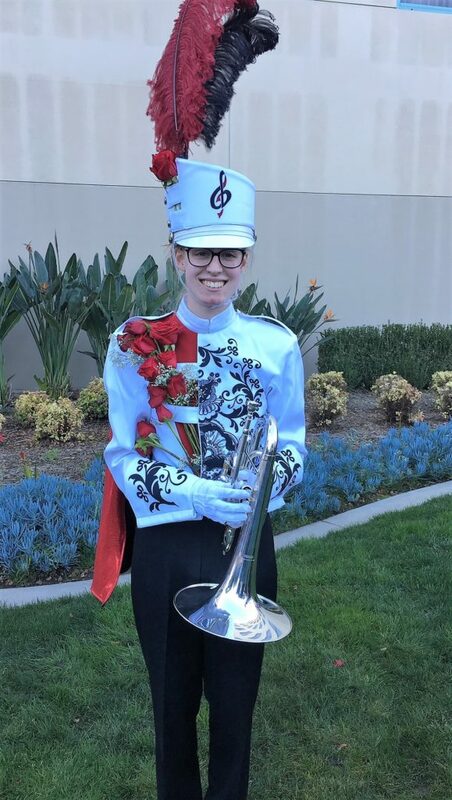 Julia qualified for the Region V State Band Festival based on her audition at the PMEA Lower District Band Festival, held Jan. 25 and 26 at Lancaster Mennonite High School. The Region V festival will be held March 7 through 9 at Conrad Weiser High School. She also qualified for the Central Region Orchestra based on her audition during the PMEA District 7 Orchestra Festival, held Jan. 10 through 12. 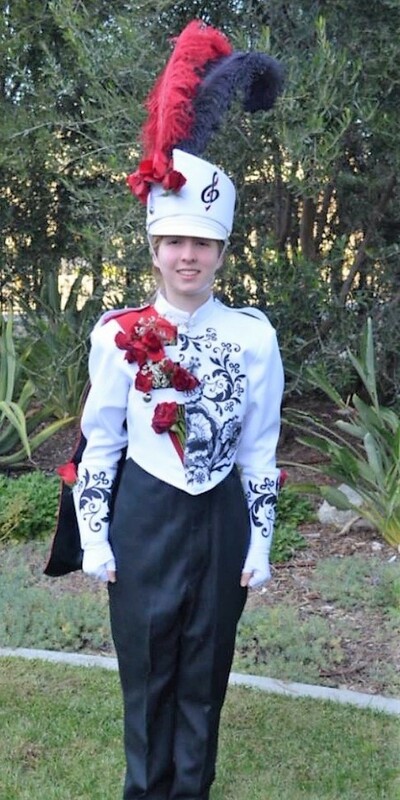 She qualified for one of only two slots for trumpet. 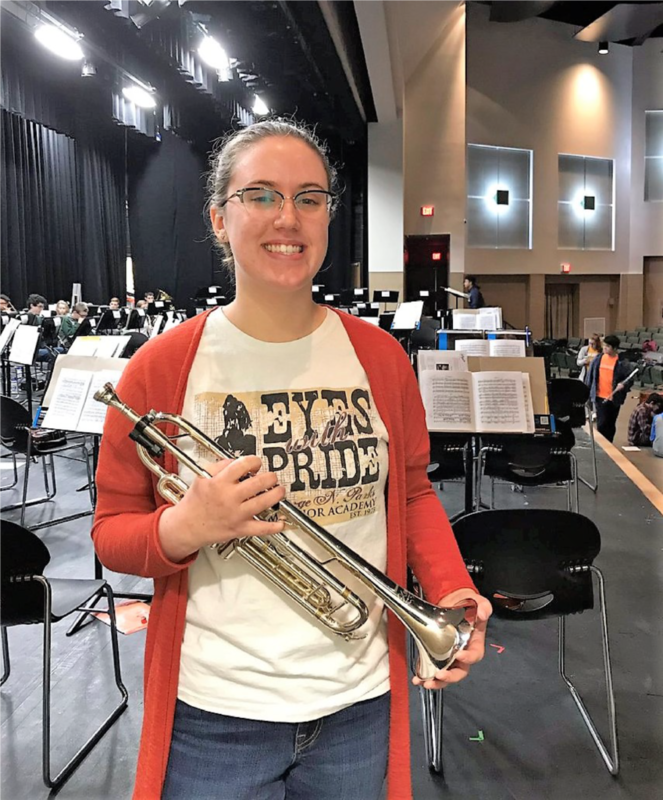 To reach the District 7 festival, she had to audition along with nearly 50 trumpet players from Adams, Cumberland, Dauphin, Franklin, Lancaster, Lebanon, Perry and York counties for one of only four slots. Qualifying for the Central Region Orchestra is a major accomplishment, said Sara Masten, Penn Manor High School music teacher. “Students who audition for District Orchestra are among the top musicians in their school district and county, and if they make it past the district level, they are truly among the best,” Masten said. The Central Region Orchestra Festival will be held Feb. 20 through 22 at Williamsport Community Arts Center. 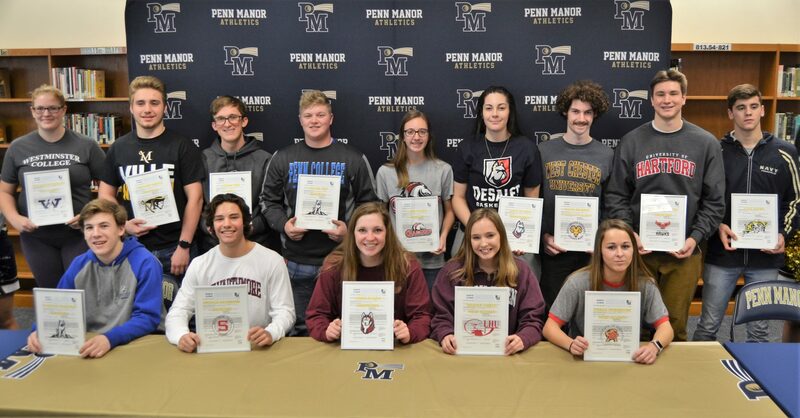 Four individuals and one athletic team were inducted into the Penn Manor Athletic Wall of Honor during ceremonies in the high school January 18, 2019. This year’s inductees include: Chas Alecxih (football), Greg Bervinchak (wrestling), Britney Clugston (field hockey), Aaron Dread (basketball) and the 2008 field hockey team. Chas Alecxih was a two-sport athlete, throwing for the track and field team for three years and playing football for four. He earned two varsity letters in football and three in track and field. Chas led the Comets football team as a captain in 2006 and was a two-way starter at tight end and defensive end. In 2005 and 2006, he was named 1st Team All Lancaster-Lebanon League and was Section 1 Lineman of the Year in 2006. He also was named to The Associated Press Class AAAA All-State 3rd Team and was selected to play in the Tri-County All-Star game. Chas went on to play at the University of Pittsburgh, where he was a four-year letterman, two-year starter and graduated with a degree in communications. In his redshirt junior year, Chas started all 13 games at defensive tackle, had 57 tackles, nine TFLs and 7.5 sacks and had a career-high eight tackles in three different games. As a result of his performance, Chas was named an All-Conference Defensive Tackle in 2010. Following his collegiate career, Chas was signed by the Miami Dolphins in May 2012. He spent four years in the NFL with the Dolphins, Chiefs, Chargers, and Carolina Panthers. 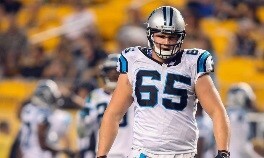 On February 7, 2016, Chas played in the Super Bowl with the Carolina Panthers and ended his NFL career on the highest note possible. Chas now works in commercial and residential real estate and lives in Lancaster with his girlfriend, Lauren, and one-year-old daughter, Alaina. 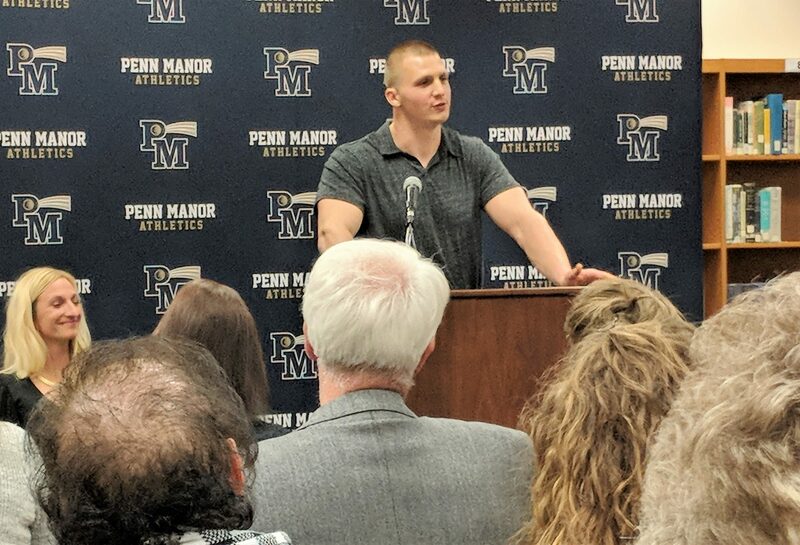 Greg Bervinchak was a three-sport athlete (wrestling, soccer and baseball) at Penn Manor and earned four varsity letters in wrestling and three in soccer. 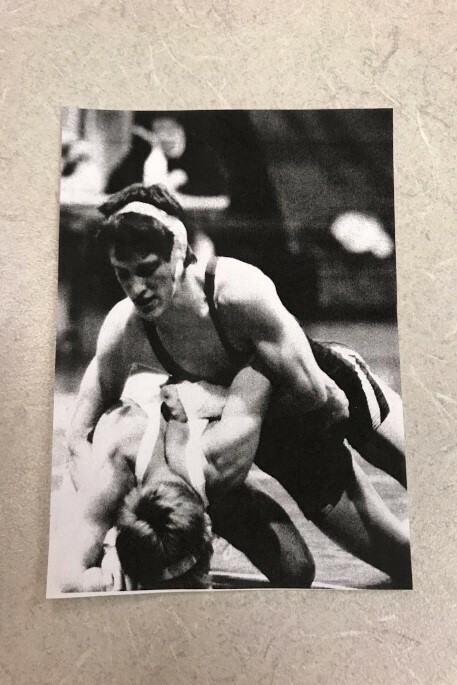 Greg was a four-time L-L League Wrestling All-Star and a Sectional Champion in 1984, 1985 and 1986 and a Sectional Runner-Up in 1987. In 1984, as a freshman, he qualified for districts. Greg would go on to qualify for districts all four years he wrestled at Penn Manor and is a member of the elite “100 Victories” Club. Greg placed fifth in the district tournament as a sophomore, second as a junior and fourth as a senior. He also qualified for the state tournament in his junior year. 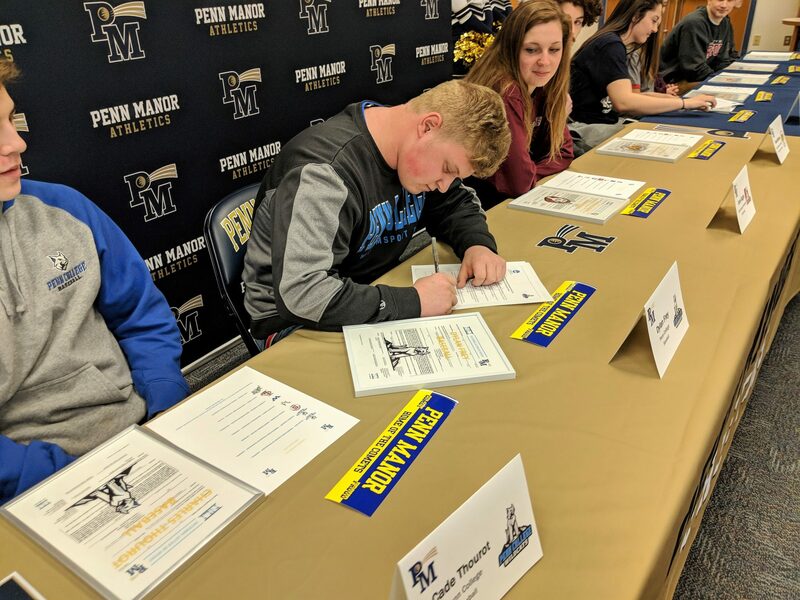 Greg was a perfect 35-0 in his final two seasons with the Comets in dual meets and had an overall dual meet record of 66-2 – the highest winning percentage in Penn Manor wrestling history. Greg also is the Comet’s all-time team points leader, with 315. Scoring an average of 4.6 points per match, he holds the record for all-time points per match. 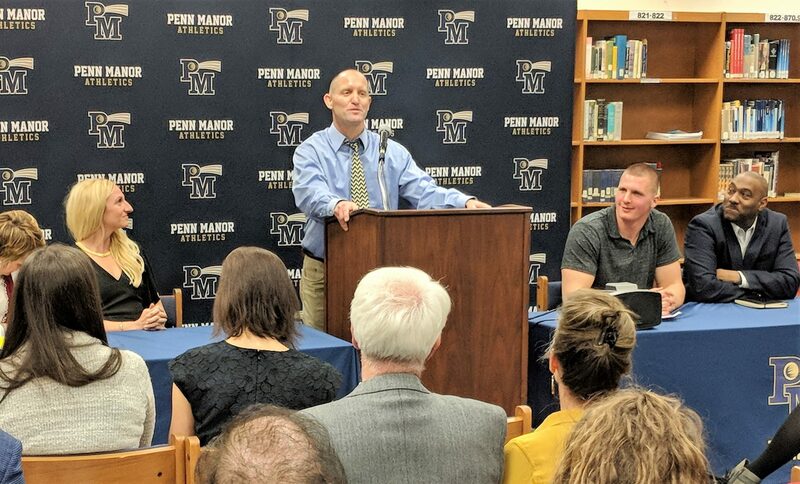 After graduating from Penn Manor, Greg attended Lock Haven University and was a member of the wrestling team for four years and later coached wrestling at Hempfield High School for 24 years. He is in his 15th year as a health and physical education teacher at Hempfield. Britney was a four-sport athlete at Penn Manor. 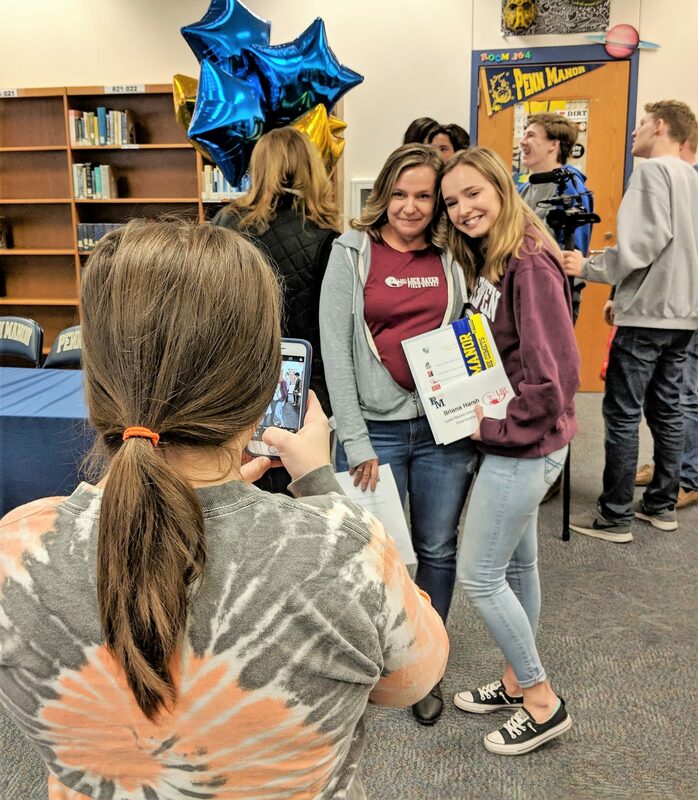 She ran track for a year, played one year of soccer, three years of basketball and was a field hockey standout for four years, earning seven varsity letters. Britney was a four-time field hockey L-L League All-Star and a 1st Team All-State Selection in 2002 and 2003 as a junior and senior. She also earned MVP honors in her junior and senior seasons and was team captain in her senior year, helping lead the Comets to a sectional championship and the district tournament in 2002. Britney earned a gold medal in the National Futures Tournament and a silver at the Junior Olympics in 2002. As an indoor field hockey player, she won gold at the Indoor Nationals in 2003 and 2004. In addition, Britney was named a National Futures Elite Honoree from 2002-2004 and was nominated for the High School Heisman Award. 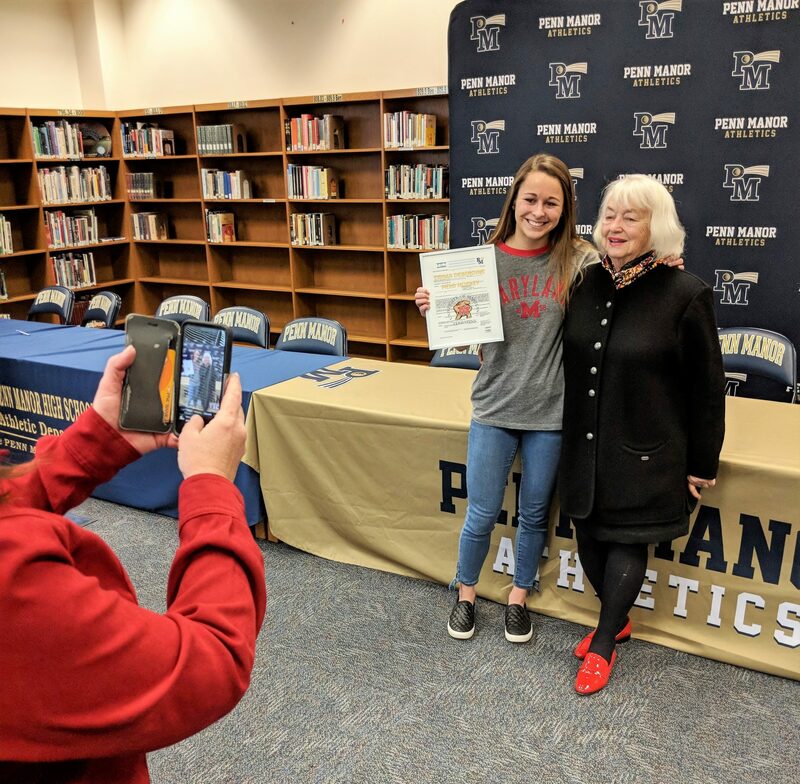 She earned a full scholarship to Penn State to continue her field hockey career. During her junior year, Britney had a nearly 74 percent shot-on-goal rate. 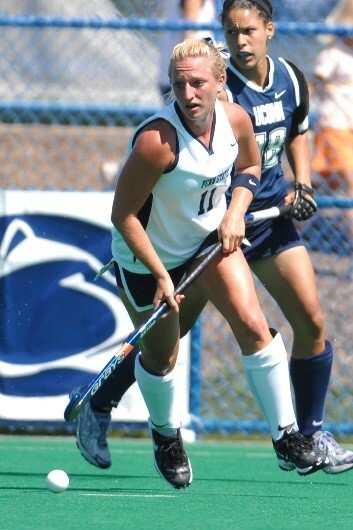 After her senior year, she was named to the 2nd Team NFHCA All-Mideast Region. She also earned spots on the Academic All-Big Ten Team and the NFHCA National Academic Squad. In her senior season, Britney led the team in points (30) and goals (14), placing her sixth in points and third in goals for the Big Ten in 2007, the same year she was named to the Big Ten All-Tournament team and competed for a National Championship. The daughter of Ken and Heidi Long, Britney lives in Albany, Ga., with her husband, Penn Manor alum Caleb Clugston, and children, Lennon, 4, and Cash, 2. She works part-time as a fitness instructor. 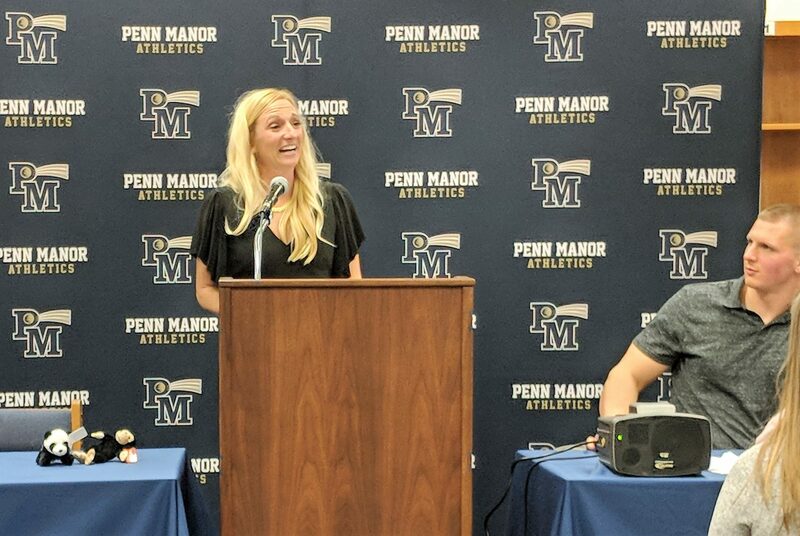 Aaron Dread was a four-year starter and four-year varsity letter winner on the Penn Manor boys’ basketball team. He also earned a varsity letter in soccer. In basketball, Aaron is the all-time career scoring leader for the Comets, with an impressive 1,743 points. 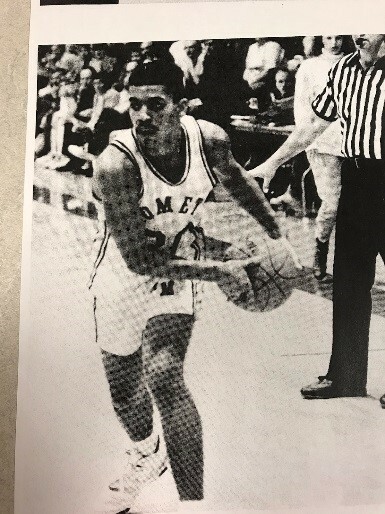 In his 1989-1990 season, Aaron was named an L-L League All-Star and 2nd Team All-State. Overall, Aaron was a two time All-Section member and was named the Suburban Cable Player of the Game four times. During his four years on the team, the Comets made three L-L League Playoff appearances and earned the team’s first district playoff win in 18 years. The Comets also earned three straight District 3 berths and a PIAA Playoff berth in 1990. In 1989, Aaron was invited to the McDonald’s All-Star Invitational Camp in North Carolina and was an All-Star Team Selection. He played in the Keystone Games three times and was a bronze, silver, and gold medalist in 1987, 1988, and 1999. Aaron attended Millersville University and helped the Marauders basketball team earn four straight playoff appearances, capture one PSAC Championship and reach two NCAA Regional Tournament Rounds. In the 1993-1994 season, Aaron held an impressive 45.4 three-point field goal percentage, with 49 made three-pointers. Aaron currently lives in Burtonville, MD, with his wife of 19 years, Dr. Kisha Murry-Dread. They have three children – Miles, Malcom and Mason. Aaron works in the medical sales field for Romark Inc. The 2008 field hockey team won the PIAA Class AAA State Field Hockey Championship, dominating Hershey High School by a score of 5-0, one year after losing in the state finals by a 2-1 margin. Penn Manor started out the 2008 State Tournament by blanking Lackawanna Trail 3-0, then gained revenge on defending champ Emmaus with a 2-1 victory in overtime before earning a 4-2 win over Central Dauphin. In the final, the Comets scored on all five of their shots on goal, setting a PIAA record for the most goals scored and largest margin of victory in the State Final game. Senior goalie Kathi Weidman stopped all three shots she faced. The 5-0 victory was Penn Manor’s first ever PIAA State Championship in field hockey. Team members included Alexandra Adams, Cathryn Altdoerffer, Jennifer Bradley, Katie Breneman, Maggie Brommer, Helen Doolittle, Taylor Eichelberger, Mariah Farbo, Megan Harris, Kelly Harsh, Nicole Henderson, Madelyn Hess, Carenna Neely, Laura Revelt, Nancy Stehman, Renee Suter, Haley Weaver, Kathi Weidman, and Jill Witmer. Player highlights – Jill Witmer (1st Team All-American, All-Mid East Region, 1st Team All-State, L-L League Player of the Year, L-L League All-Star, 1st Team L-L League Section 1); Jenn Bradley (1st Team All-American, All-Mid East Region, 1st Team All-State, L-L League All-Star, 1st Team L-L League Section 1); Maggie Brommer (2nd Team All-State, L-L League All-Star, 1st Team L-L League Section 1, PHSFHCA All-Academic Honors). The coaching staff included head coach, Matt Soto; assistant coaches, Denise Gobrecht and Lisa McCoy; junior high coaches, Britney (Long) Clugston, Liz (Chismar) Kelly and Brandy (Yocum) Basile; scorekeeper, Diana Alston; and trainer, Dave Ohl. 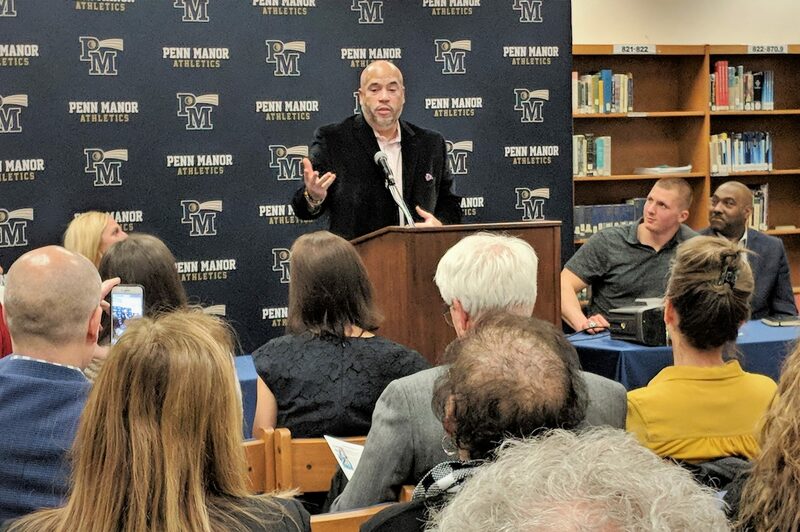 Following the ceremony, the basketball jersey of Wally Walker, the Penn Manor standout who played eight seasons in the NBA, was retired during the boys’ varsity basketball game against Warwick. 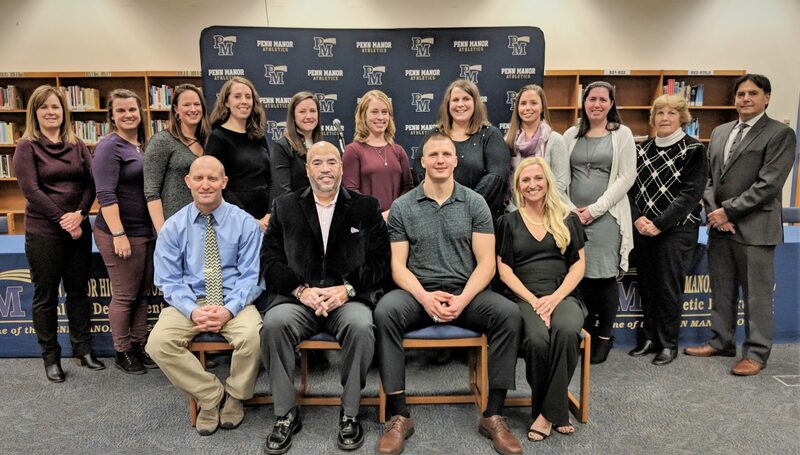 2019 Penn Manor Athletic Wall of Honor inductees: front row, from left, Greg Bervinchak, Aaron Dread, Chas Alecxih and Britney (Long) Clugston; back row, 2008 field hockey team players and coaches. 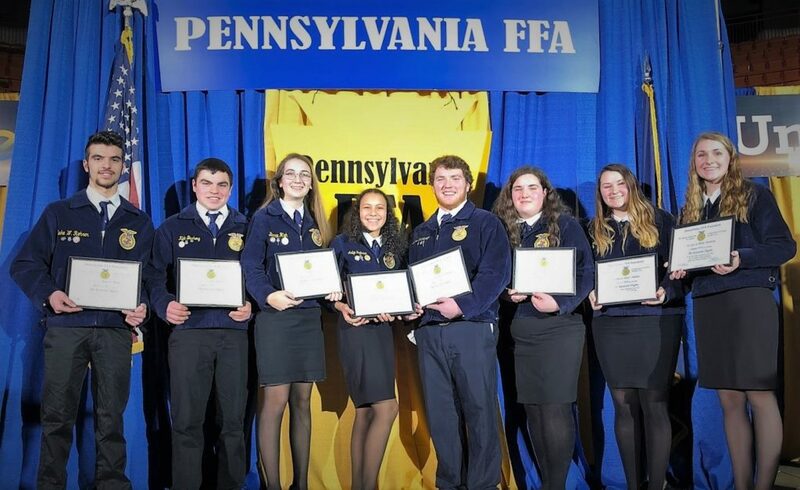 Penn Manor High School students won several awards recently at the Pennsylvania Farm Show representing Manor FFA. 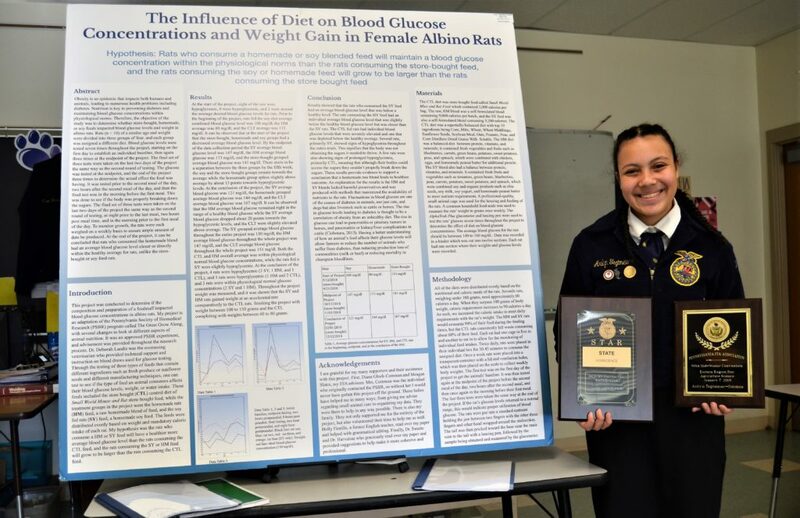 Arilyn Tegtmeier-Oatman placed first in the state in the Animal Systems Division of the Agriscience Fair for her project on the effect of diet on blood glucose levels and weight gain in rats. 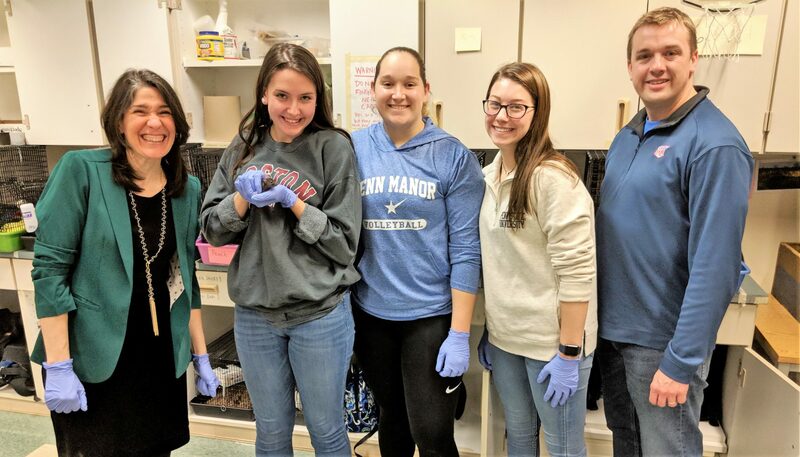 Arilyn fed rats three different types of food and monitored their weight, general health and glucose levels to determine whether a homemade soy-based diet was preferable to a commercial feed diet or a non-soy diet. She is now applying to present her project in national competition. 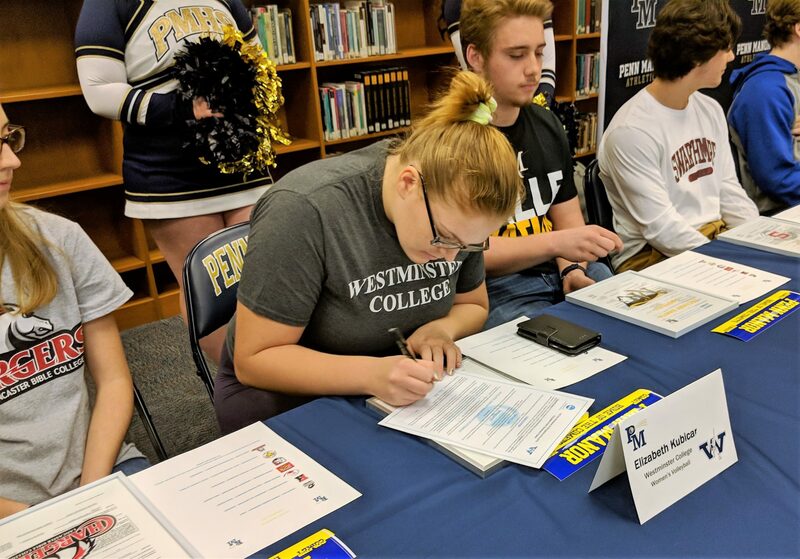 Eight students – Alyssa Broderick, Michael Brumbaugh, Kyle Bushong, Alyssa Chalfant, Melodie Garrett, Rebecca High, Blake Rohrer and Arilyn Tegtmeier-Oatman – earned Keystone Degrees. The Keystone is the fourth of five degrees FFA members can earn. Only 409 members out of 12,771 in the state received the degree. To earn a Keystone Degree, FFA members must hold the Greenhand and Chapter FFA Degrees; perform at least 25 hours of community service; earn or invest $1,000 or work 300 hours outside of school in their SAE program; participate in 15 FFA Activities, five of them above the chapter level; and demonstrate leadership and advocacy of agriculture and FFA. Five students – Bobbie Ditzler, Emma French, Carter Hess, Laurel Mull and Danielle Oatman – earned a blue jacket, the iconic symbol of FFA membership. The first-year member jacket campaign is sponsored by the Pennsylvania FFA Alumni, which provides the jackets and a scarf or tie free of charge. To qualify, students must write about what the jacket means to them and what they plan to achieve while wearing it. Laurel Barley, Logan Eshelman, Lauren Sensenich, Jenna Smith and Arilyn Tegtmeier-Oatman showed livestock. 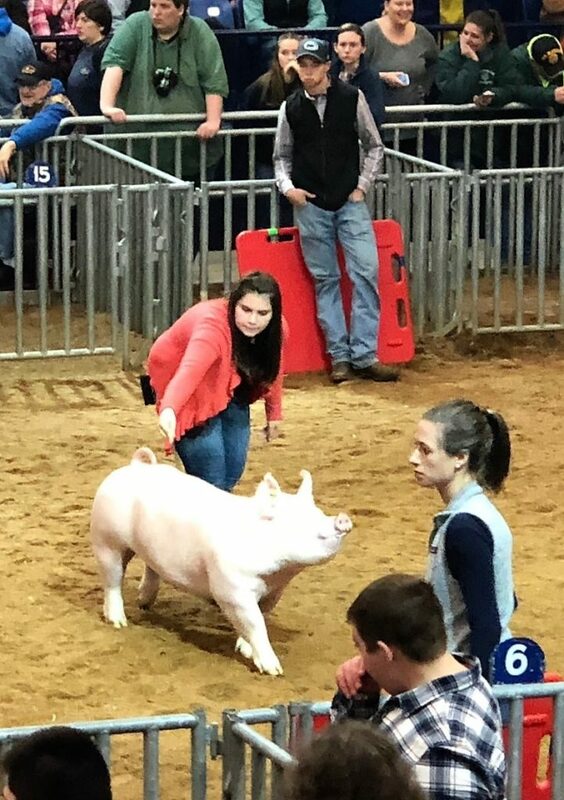 Jenna Smith earned Reserve Champion Yorkshire and Master Showman honors for her hog, Nora. Arilyn Tegtmeier-Oatman was named Keystone Star in Agriscience. Arilyn will move on to the regional contest and compete at the Eastern States Exposition in Massachusetts in September. Arilyn Tegtmeier-Oatman with her project and Farm Show awards. Keystone recipients, from left, Blake Rohrer, Kyle Bushong, Rebecca High, Arily Tegtmeier-Oatman, Michael Brumbaugh, Melodie Garrett, Alyssa Chalfant and Alyssa Broderick. Jenna Smith with her Champion Yorkshire hog, Nora. Jacket recipients, from left, Carter Hess, Emma French, Laurel Mull, Bobbie Ditzler and Danielle Oatman. Trained “Safe2 Say” staffers will review the tips and immediately contact school officials and, if necessary, law enforcement, to respond to the information they receive. The state Attorney General’s Office has partnered with Sandy Hook Promise, a national nonprofit committed to creating safe schools and communities, to run “Safe2Say,” which is designed to prevent violent acts, rather than respond to them. Penn Manor will share additional information on “Safe2Say” when the program is implemented later this month. The Penn Manor board of school directors voted 7-1 Jan. 7 to advance the high school renovation and construction project. The board approved the notice of intent to award construction bids totaling $82.7 million for the project, which will replace major portions of the school and renovate others. Board members Ken Long, Nicki Nafziger, David Paitsel, Rich Frerichs, Joseph Fullerton, Donna Wert and Chris Straub voted in favor of accepting the bids. Carlton “Herk” Rintz voted against the measure. The ninth member, Mitchell Sweigart, was absent. 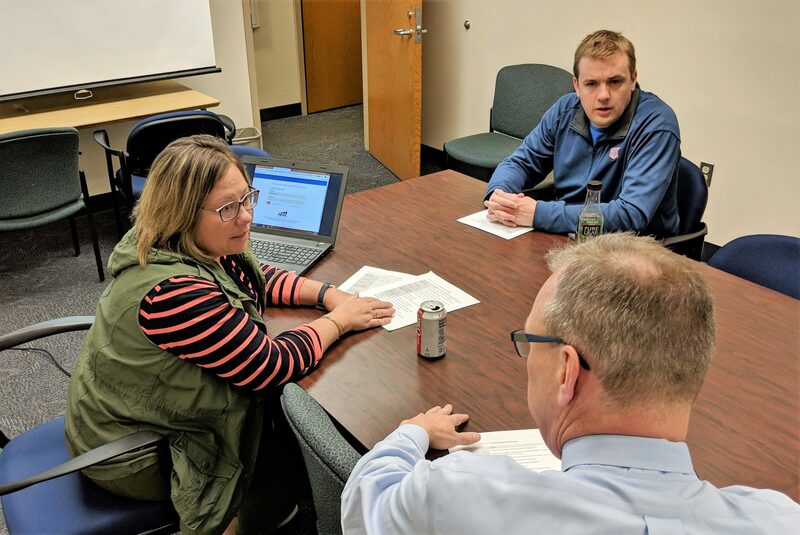 Construction bids came in higher than anticipated, but school district officials are confident the higher costs can be covered without an additional tax increase over the original, four-year funding plan. The bids, opened Dec. 13, came in about $4.6 million above estimates. The total cost of the project, with all “soft costs,” including financing, construction management and contingency fees, is $99.9 million. Major construction is scheduled to begin in March, and the project should be completed by summer 2022. 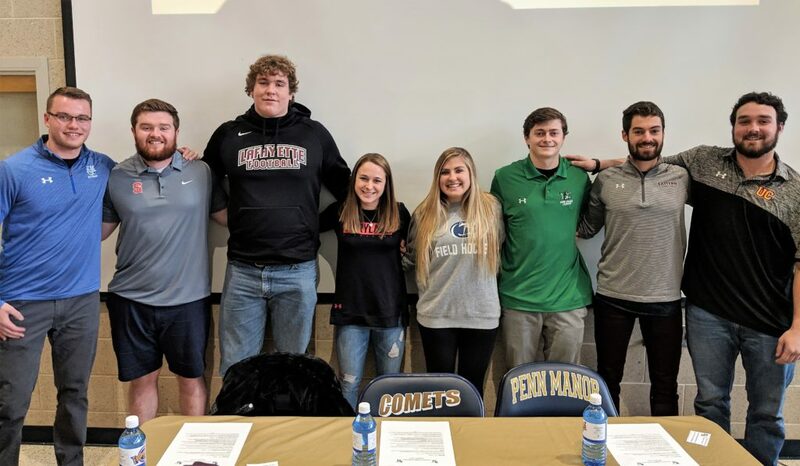 A group of eight Penn Manor alumni returned to the high school Jan. 3 to share advice with current Penn Manor students about attending college while participating in sports. 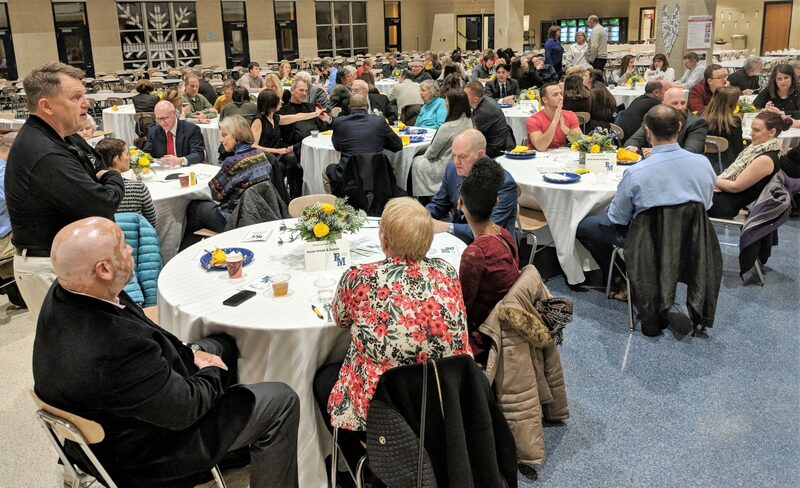 The Athletic Alumni Roundtable, held in the high school cafeteria, attracted about 40 students, along with coaches and parents. 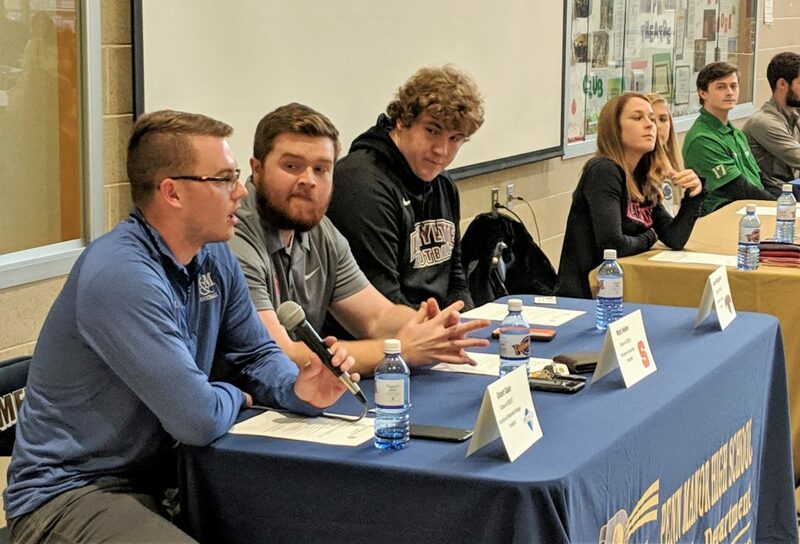 The panel of collegians responded to questions about balancing athletics and academics, choosing the right college and the differences between athletics on the college and high school levels. After the question-and-answer session, the student athletes broke into small groups for individual discussions with students. 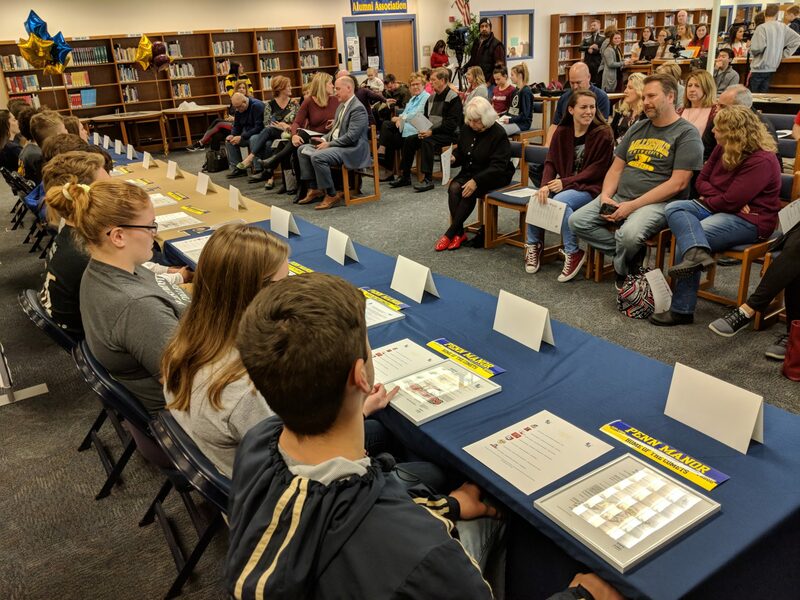 The roundtable was designed to help Penn Manor students “become a little bit more college ready and to help them decide which colleges would be a good fit,” said Jason Mattern, Penn Manor athletic director. From left, Grant Gale, Matt Keller, Casey McCollum, Brooke DeBerdine, Cassie Kline, Wyatt Barnett, Doug Kramer and Nick Kirk. Collegiate student athletes respond to questions during the forum.